After those fun days in Sibiu, my sister and I headed to Brasov. It was a three hour journey, good thing there is a minivan terminal in Sibiu. We tried to book for a bus and train but the timings weren't perfect. The journey was a bit scary as we were trailing dark roads and it was very cold. It was like a chilling moment while watching a horror flick and I was scaring myself by thinking, 'this is the place of Dracula and vampires'. Fortunately, we arrived in Brasov safe and sound. From the terminal, we took a cab and located our hotel. I booked a hotel apartment but the cab driver and I noticed that it is too far from the city. The driver was too kind to recommend us a hotel near the city in an affordable price and when I saw it, it was perfect. 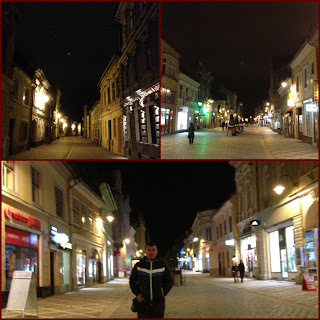 We were both settled at around nine in the evening but still, we tried to navigate the city. Most of the shops were closed but we still managed to roam for a short time. Since it was snowing and was very cold (it was -6 degrees Celsius), we decided to call it a night. We woke up early the next day because I was so excited to visit Dracula Castle. It was snowing that day and I was concern that it might be closed but fortunately, it was open. From Bus Terminal 2, there are buses that leave every 30 minutes to Bran; I think the ticket was 5 RON and one and half hour of journey. I was immediately amazed when I saw the castle and yes you can see a full smile on my face, another dream came true! There were other tourists on that time but my sister told me that during summer, more tourists are coming so we were lucky that day because it wasn't that many and it was a good chance to roam the castle without any hindrances during picture taking haha. To see the entire castle, it might take you three to four hours to check each of the corners. 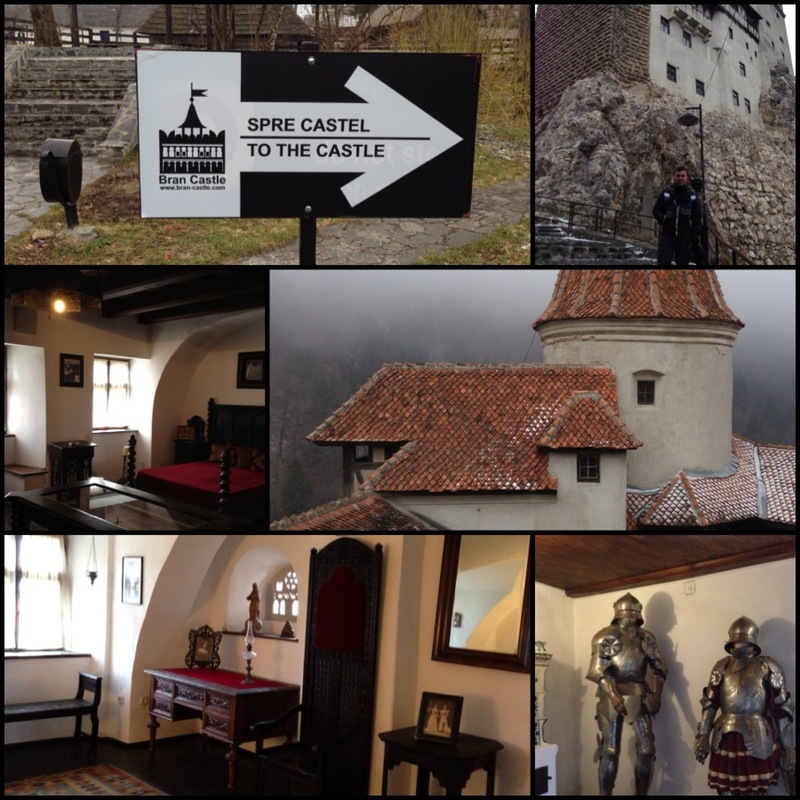 It is very obvious that some parts of the castle were renovated but still, there are some interesting things like the cape of Dracula, his old room, the torture room and some items from the queen. It was indeed a very fulfilling day. There were several souvenir shops outside the castle so we bought some items. Also, we had our lunch in a Chinese restaurant (yes, there is!) across the street and the foods were delicious and very affordable. 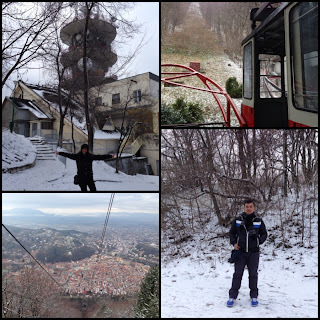 We headed back to Brasov and we were able to see the city during daylight. 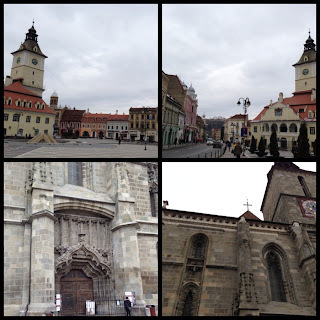 We visited the Town Hall Square (Piata Sfatului) which features medieval buildings in different architecture styles. We also visited the Black Church (Biserica Neagra) but unfortunately, it was close that time so we just got contented in appreciating the outer part of the church. It is the largest and one of the most important Lutheran places of worship in the region.